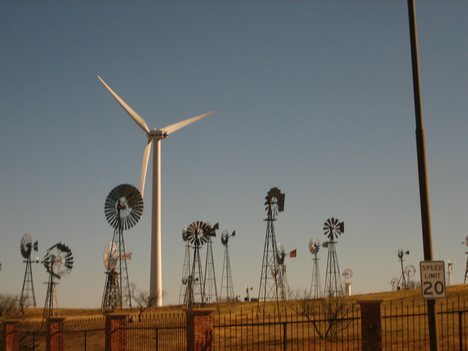 Anonymous hacker broke into wind turbine systems ! Claiming revenge for an "illegitimate firing," someone has posted screenshots and other data, apparently showing that he was able to break a 200 megawat wind turbine system owned by NextEra Energy Resources, a subsidiary of Florida Power & Light. The data was posted to the Full Disclossure security mailing list Saturday anonymously, by someone using the name "Bgr R." In the post, he (or she) wrote, "Here comes my revenge for illegitimate firing from Florida Power & Light Company... ain't nothing you can do with it, since your electricity is turned off !!!" In an e-mail interview, Bgr R said he's a former employee who discovered a vulnerability in the company's Cisco security management software that he then used to hack into the SCADA (supervisory control and data acquisition) systems used to control the turbines. His motive was to embarrass the company, he said. "I want people to know about them and how they really work on SCADA security," he said. It's not clear whether or not the posting is a hoax, or if any systems have been affected, but the screen shots of the Wind Turbine management interface looked legitimate, said Wesley McGrew, an industrial systems security researcher with McGrew Security. "My best guess is that it's legit, and this guy will probably be picked up pretty quick if it's really a disgruntled employee," he said in an instant message interview. "The whole thing looks like just a grab bag of stuff he had access to." "If it's all a hoax, it's really well done," he said. On the other hand, there are some big question marks, McGrew said. In his interview with IDG News, Bigr R didn't say much about how he broke into the SCADA systems themselves and he didn't demonstrate much insider knowledge of Florida Power & Light (FPL) systems. At one point he mistyped the FPL acronym. Bigr R posted screen shots apparently showing that he had access to management systems at the 136-turbine Fort Sumner wind farm, located about 170 miles southeast of Alberquerque New Mexico. Depending on how the software was configured, he could have shut down the 200 megawatt facility or possibly even damaged hardware there, McGrew said. Florida Power & Light (FPL) owns and operates the Fort Sumner turbines, but the power they generate is used by PNM, an Arizona utility company. The facility has been in use since October 2003. PNM is not aware of any incidents affecting the company's Fort Sumner facility, said company spokeswoman Susan Sponar. She referred inquiries to FPL. FPL officials were not immediately able to comment on the matter. The data posted by Bigr R show screenshots of the Wind Turbine's management interface -- Siemens-built software called WinCCC -- along wtih screenshots of an FTP server and a company project management system. There is also Web server header information and configuration data from a Cisco router, apparently hosted for the company by AT&T. According to the router information, one of the company's passwords for the router was "cisco." The security of industrial systems like this has come under scrutiny in the past year following the release of the Stuxnet computer worm, which is thought to have sabotaged systems used by Iran's nuclear program. In this case, though, the hacker says he's a disgruntled insider. Insiders seeking revenge are responsible for about 10 percent to 15 percent of all industrial security computer incidents, said John Cusimano, director at the Security Incidents Organization. His company maintains a database of cyber-incidents documenting failures of computer systems used by SCADA systems. "It's probably still up in the air as to whether this was a real threat or a hoax," Cusimano said.